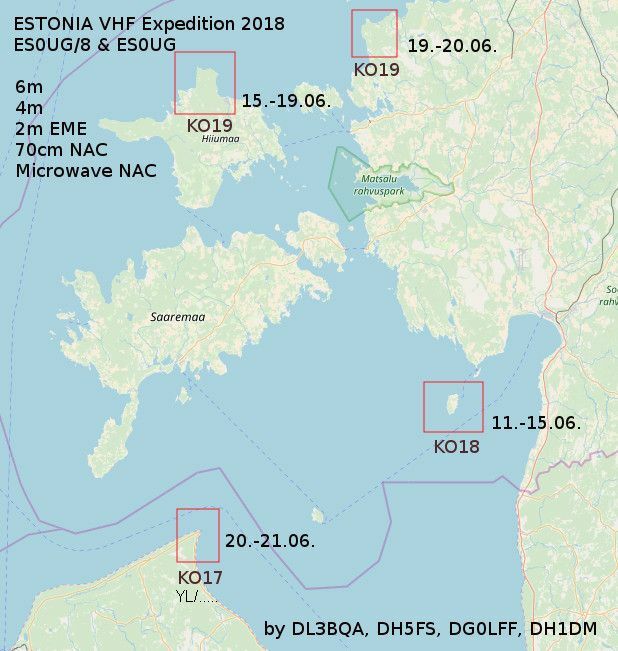 Uwe, DL3BQA, co-owner of our station, is currently on an IOTA & VHF DXpedition to Estonia. He was joined by some guys from Dresden (DM7A contest club), i.e. Fred, DH5FS, Steffen, DH1DM, and Henrik, DGØLFF. 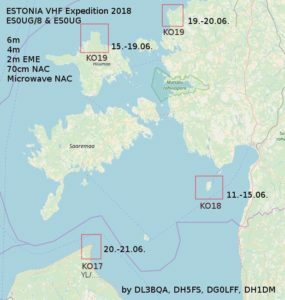 You can see their schedule on the lefthand picture and their expedition blog at https://baltic2018.blogspot.com which also hosts a few more operating information. This entry was posted in Expeditions, Meteor Scatter, VHF. Bookmark the permalink.